We believe that every child has potential, life goal to discover and realize, and we - adults, both parents and teachers, we are here to help them. We believe that the key to life is to recognize and unleash potential and develop those talents that are given to us and to our children. So that, to help young people - we need to start with ourselves. What can we give them if our heart is cold, sad or frightened? We will not be reliable, saying: - Take care of yourself - when we do not care about ourselves, - Love yourself - when we do not love ourselves, - Do not be afraid ! - if we are afraid , - Trust me - if we do not trust our lives. Therefore our idea is that the teacher should do the exercises for himself first, experiencing the effects himself first. and then reliably conduct classes with his students. As training material we use: „77 educational lessons” edited by Lilianna Kupaj and: „Coaching competences in teacher work. How to develop student’s potential in school” co-authorship Lilianna Kupaj, Wiesława Krysa. Here you find 17 pages about the latest development of this project: Benefits for students, teachers and the school, the process of the project and major results. Read more details about this project here! Lesson 1: You have an impact on your life! 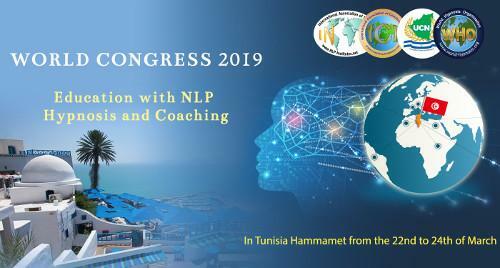 The next oportunity to discuss with Lilianna this project is on our next IN ICI WHO World Congress in Tunisia, March 22-24 in 2019.